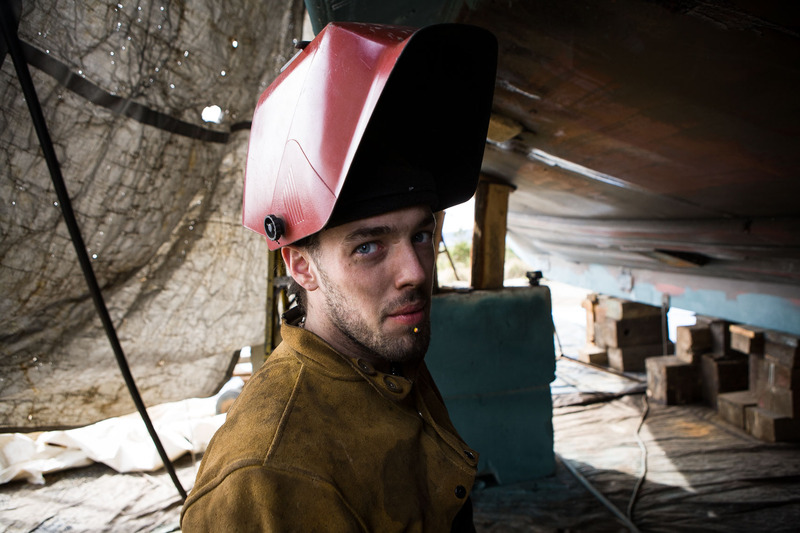 Eric Howe, a welder at the shipyard in Port Townsend, aboard the fishing boat Anna Marie. Eric worked as a logger in Alaska until a few months ago when his father offered him a job in Port Townsend. Lured by a significantly higher salary, Eric moved to the Pacific Northwest.